Including Jupiter, Stuart, Hobe Sound, Palm City, Port St. Lucie, Vero Beach, Vero Beach South, Sebastian and all surrounding areas. 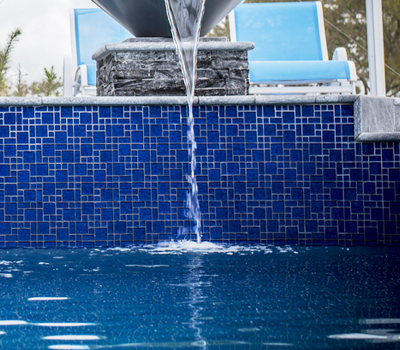 Tiles add a designer look to any pool or spa. Using them on a pools waterline creates a contemporary element. Combine different sizes to create your own look. Pavers are a popular type of hardscape and come in many different materials, sizes, shapes and colors. Paver materials for poolside patios include stone, concrete and aggregate. Spray Deck surface is a beautiful and affordable addition to your pool surround. The texture and color make it more attractive than plain concrete. Custom Pool & Spa Mechanics Inc. 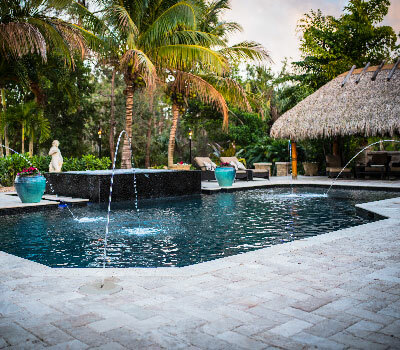 Custom Pool & Spa Mechanics Inc. has been catering to the residents of Martin and St. Lucie counties for over 30 years. 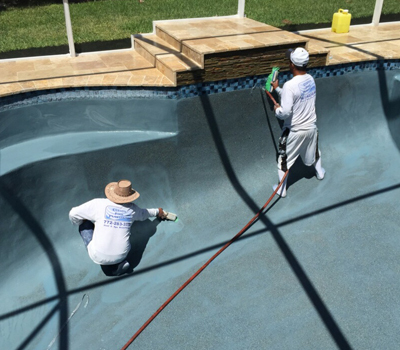 As one of the leaders in the Pool Service and Plastering Industries, we pride ourselves in providing superb service as well as staying in the forefront of all advancements in plastering materials and resurfacing technologies. Whether you are in need of weekly pool service, equipment repair or in the market for an entire resurfacing transformation; our certified, experienced, highly professional teams are here to take care of every detail. We provide services to Port St. Lucie, Jensen Beach, Palm City, Stuart Hobe Sound and the surrounding areas. All of our services are performed “in-house” and are not sub-contracted; this allows us to keep your experience personal and cost efficient. Let us provide to you the key to experiencing truly effortless pool ownership!